The CradlePoint CTR500 has been discontinued. No direct replacement is available. 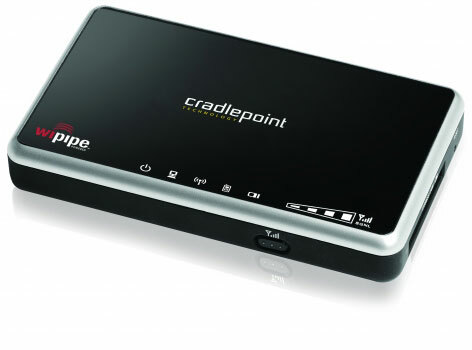 The CradlePoint CTR500 Mobile Broadband Travel Router was developed to be a plug-n-play solution. Simply connect an activated USB or Express Card modem and turn the unit on. Within seconds, you will have a secure Wi-Fi network of up to 150 feet and the ability to connect up to 32 Wi-Fi-enabled devices. It's that easy. Small enough to fit into your back pocket, the CTR500 can go anywhere with you. Complete with signal strength indicator and external antenna port, the CTR500 can be positioned wherever your modem get it's best signal. And with Failover/Failback redundancy, should your primary service be interrupted, the CTR500 will automatically discover another connected data network so you're never offline. When your primary service is restored, it will automatically re-connect.